This project from Ankur is focused on the primary education in the Belaichori union of Bangladesh. Belaichori is remote hilly area in Greater Chittagong Division of Bangladesh (http://www.belaichari.rangamati.gov.bd/). 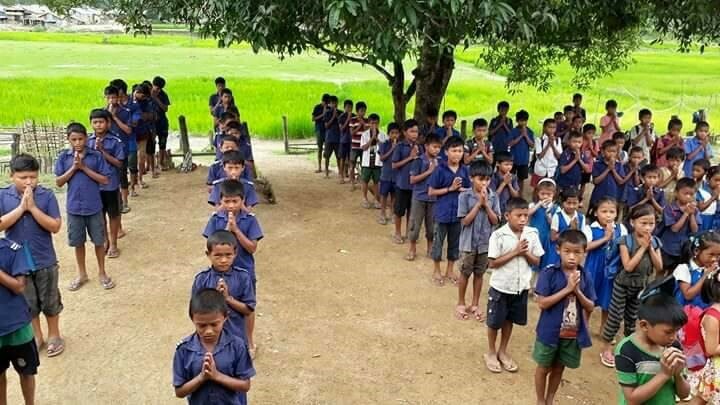 There are only 50 schools in Belaichori within an area of 750 sq kilometers. There are 8 tribes of indigenous population living in this area among which the literacy is only 21%. This area was often neglected due to the lack of accessibility from the district head quarters and socio political barriers. There is immense potential if the opportunity is created as observed during the land slide rehabilitation program. Nearly all the kids in this union walk a long way in the remote hills to get to the school every day and they still need a dress to wear, a bench to sit on and a shed above their head. This program will be a big incentive for the very poor community and will facilitate the literacy among the new generations. This project from Ankur in association with the UNO of Belachori will concentrate on the following remote schools: 1. Digholchory residential school (primary) : tables and benches 2. Farua orachory primary school: uniform for students 4. Kengrachari primary school: uniform for students 5. Borotholy primary school, the school was totally damaged due to kalboishakhi of 19th May, they need a tin shed to protect the students from rain. 6. Toilet in the schools: none of the schools has functioning toilets causing diseases among the kids.